Since EA and Playstation backed out of this year’s E3 last week, people have started to wonder about which studios will have physical showcases at the upcoming event. Well, fans of the Elder Scrolls and Fallout series rejoice, because developer Bethesda has confirmed that they would in fact be attending E3 2019. The event is set to take place on Sunday, June 9th and will be the fifth year in a row that Bethesda has their own showcase. Last year, Bethesda announced Fallout 76, Doom and Wolfenstein sequels, teased The Elder Scrolls VI, and gave a quick first look at Starfield. 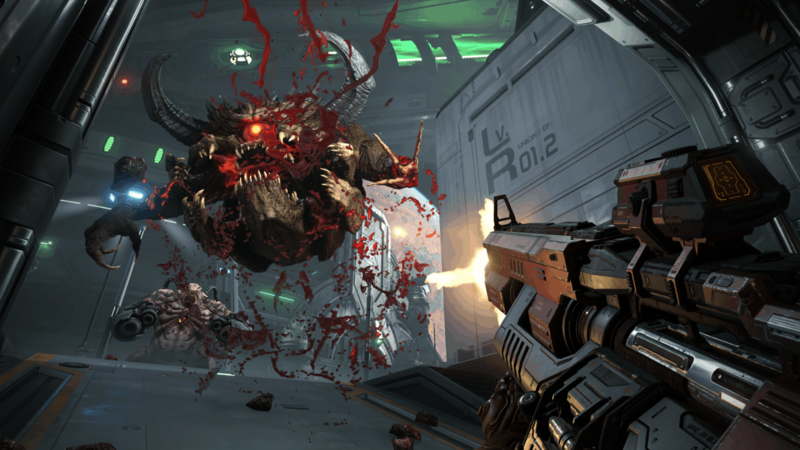 While the press release didn’t give much information about what the studio would be showing off at the event, they did say that it was “going to be a hell of a night”, and that fans could look forward to an in-depth look at DOOM Eternal. The last major footage we got for the DOOM sequel was back in August when Bethesda unveiled a 20+ minute gameplay trailer at E3 2018. Fans have begun speculating about what exactly the studio might have in store. I’m sure players would love to get their hands on some new Elder Scrolls VI footage, but since it’s doubtful that the game is coming out any time soon, it’ll be nothing short of a miracle if we learn anything other than minor details. There’s most likely going to be some news about Fallout 76, The Elder Scrolls Online, and The Elder Scrolls Blades as well. If you’re planning on attending or streaming the event, Bethesda’s showcase is slated to start at 5:30 PM PT on June 9th.